Don't re-invent the wheel. 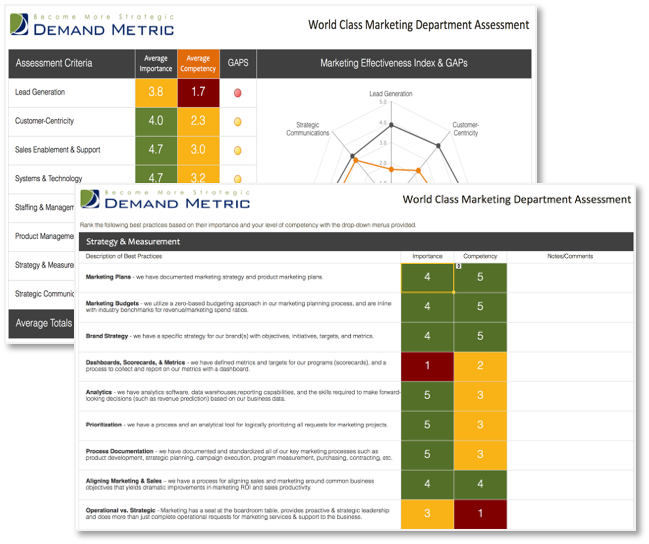 Get work done faster with Demand Metric! Unlike other apps out there, we give you more than a blank slate. Smart Projects integrate our training, tools and templates to help you build a solid plan and optimize your core marketing processes. Customize and rebrand from our library of 500+ consultant-grade tools. Slingshot your career forward with training & certifications in Content Marketing, Demand Generation, CRM, Product Management, Social Media, Customer Engagement, Video Marketing, Online Advertising, Sales Enablement, and many more. Use our 70-point assessment to grade your capabilities. Your summary report provides links to tools & resources to help you immediately improve your knowledge, skills, and effectiveness. Keep up on trends and get stats cases for business cases with our 350+ reports and guides. 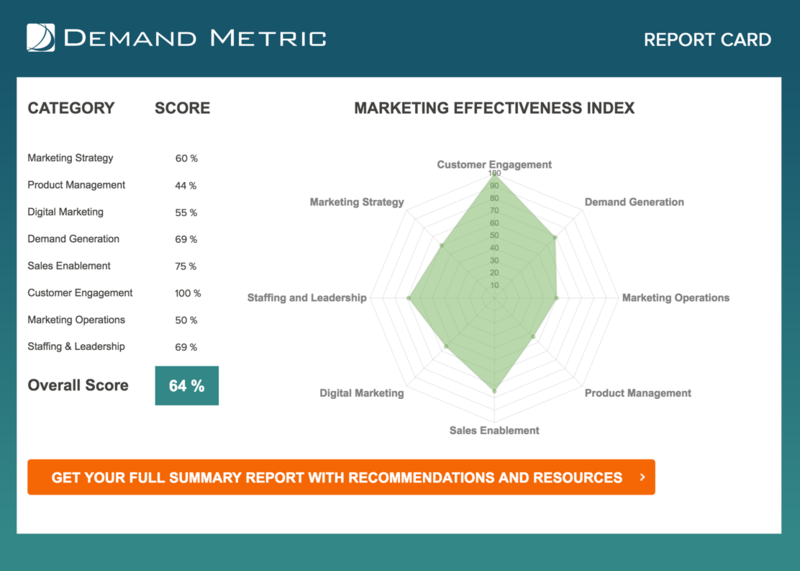 Learn best practices from top performing marketing organizations. << Scroll through the sample report on the left. Glean insights from our 100+ on-demand webinars. We built our app to address the pain points customers of Trello, Asana, Basecamp, and Wrike complain about. With Demand Metric, you have an easy-to-use interface with the power to view, filter, and sort tasks across ALL your projects. No more diving in and out of projects to get the info you need. Affordable plans starting at just $77/month. Interested, but not ready to sign up?